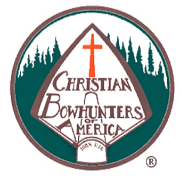 Merle R. Fredericks leads Christian Bowhunters of America (CBA) as executive director, taking the national helm in October 2014. He serves also in the capacity of coordinator of 37 chapters across the U.S. and presently administers all membership and merchandise responsibilities of the organization. Fredericks, a devoted supporter of CBA and its mission, is a lifetime member who first joined in 1992 and whose service on the CBA board, beginning in 2006, includes these last three years as chairman. In addition to his service at the national level, he is chairman of the local CBA chapter, Bow Bending Believers in Medina, New York, a position he has held since founding it 12 years ago. While under his leadership, the Bow Bending Believers hosted the National Shoot in 2006, 2012 and 2015, and hosted 11 local game dinners featuring many nationally renowned sportsmen who share the gospel during their presentations. In the course of these events 291 souls have made first-time decisions to follow Jesus Christ and 126 have rededicated their lives to the Lord as well. After a career in law enforcement as a criminal investigator and deputy sheriff, Fredericks retired as sheriff of Orleans County in 2002. 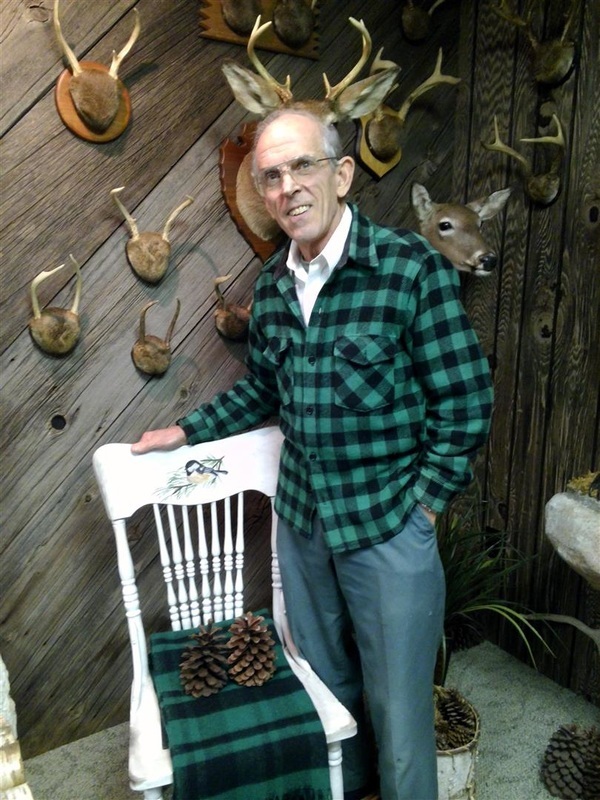 His love of God’s great outdoors and passion for safety and good sportsmanship is demonstrated by his 40 years as a hunter and his commitment to teaching as a New York State certified bowhunting education instructor for the past 10 years. 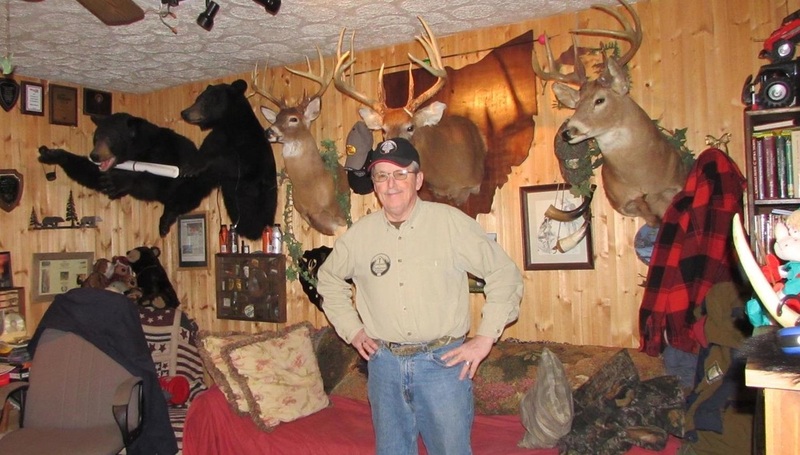 Fredericks makes his home in the whitetail woods of Western New York overlooking the beautiful Oak Orchard River with wife Mitzi, his sweetheart and hunting partner of 37 years. They are blessed with three children, their spouses and eight grandchildren. I was born on Sept. 17, 1942 in a Wesleyan parsonage in Indiana. Early in life I learned about the love of God and home. I grew up in Mio, Michigan and there grew to love the out-of-doors, fishing and hunting. My 9th grade shop teacher was my bowhunting mentor and in the 9th and 10th grades I had my first whitetail deer encounters with a bow in my hand. I graduated from high school at a Christian School in KY and while there truly found God’s saving grace real in my life. I felt called to pastor as a senior in High School and went on to graduate from Kentucky Mountain Bible College in 1963. There I began dating my wife, Cullann. We were married in June, 1964 after she graduated from KMBC. Our first church was in Laketon, IN. While pastoring, I received my AB in Religion at Marion College, now Indiana Wesleyan University. We later pastored in White Hall, Midland and Lake Ann near Traverse City, MI. A negative pastoral experience while at Lake Ann caused me to enter the building trades with the help of my older brother in Plymouth, MI. Not liking the “big city” I moved our little family, back north to Cadillac. That was 40 years ago come 2016. While here I got my State builders license and made a reasonable living. Cullann had received her BS in Elementary Education and taught in a Christian school for 16 years. My passion for ministry would not die. After many applications and closed doors, God brought the concept of a ministry to bowhunters to my mind. That was in 1983 and by July, 1984, with the help of an attorney bowhunting friend, Christian Bowhunters of America was born. I never looked back. Construction was my means of making a living, CBA was my calling and Michigan Bowhunters my first mission field. As Founder of CBA, I have been B.O.B chairman for 21 years. With the help of many talented men and women we still are doing effective ministry today. As President and Chaplain of MBH, I earned the right to be heard. God has given spiritual fruit there over the years. I retired from construction at age 62 and became Pastor of Senior Adults at THBC, our home church for all our time in Cadillac. I retired from the church after 7 years of effective ministry. My wife's name is Kelly and we have three children. I just celebrated 36 years of being a Christian. I was ordained in 1994 by the West Virginia Baptist convention. I first started shooting archery at summer camps at about the age of 10 or 12 and have loved it since then. My father nor many in my family hunted very much but my best friend and his family did. So I started hunting with him and I actually harvested my first deer with a bow before even taking one with a gun. As a minister I began a bow hunting retreat at our West Virginia Baptist convention conference center in 1998. At one of those retreats we began talking about CBA and decided to begin a chapter here in West Virginia in 2005. And we have been blessed many times over in the last 10 years of ministry for CBA. We all believe it is a ministry where we get to incorporate two of our greatest loves, Jesus and archery or bow hunting! We have been blessed to be able to purchase several bows and targets and arrows and get to introduce archery to many people of all ages while also telling them about Jesus. We take those archery tools to churches, Bible schools, 4-H camp's, Girl Scouts, Boy Scouts, and get to shoot archery and talk about Jesus. We feel blessed to get to do that. We also have set up booths at many hunting and outdoor shows including the biggest one for our whole state in the capital of Charleston, West Virginia every January. In January 2016 we were invited to conduct a worship service at that event on Sunday morning for all of the vendors. We have been very thankful as a Chapter - Almost Heaven Archers - for the support and resources that CBA has given us over these 10 years. We look forward to what God has in store for us in the coming years in our association with CBA. I personally am very honored and excited to serve as board of director chairman for CBA, working together to further the Kingdom with all CBA members and chapters, board members, and our executive director Merle Fredericks!! 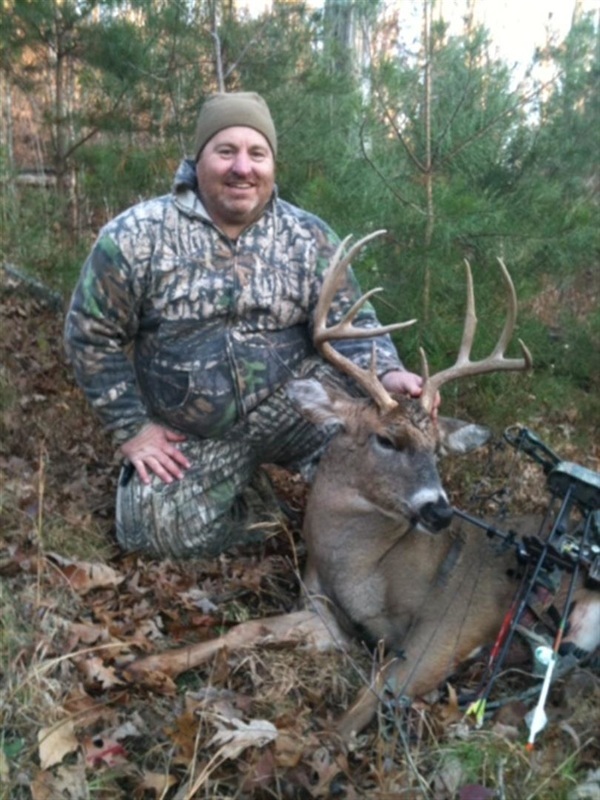 Mike Peters, father of four has been an avid bowhunter since 1980. He has bow hunted whitetail deer, wild hogs, moose and bears. 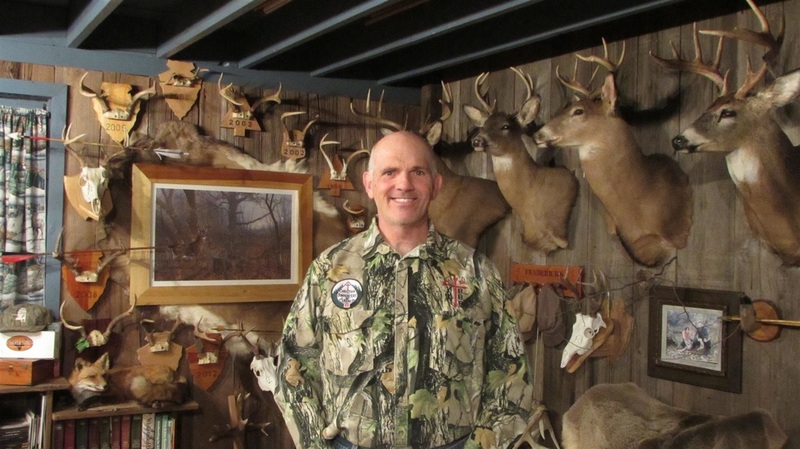 Currently chairman of Lord of the Harvest Archery Club, a chapter of CBA, Mike is also involved in National Bowhunter Education as an instructor, Ohio Hunter Education, Pope and Young Club, Ohio Society of Traditional Archers, Ohio Bowhunters Association, the NRA, Buckmasters and his church. Mike and his wife of 42 years, Ruth have attended all but three CBA National shoots. The CBA fire was lit by an elderly woman at Mikes church who brought a newspaper article about a local CBA chapter starting in the area. Mike attended a meeting and he and Ruth decided that they could do this ministry together. The rest is history! Mike annually speaks at different events from game dinners to chapel services. One of his favorite things to coach newcomers to bowhunting. Raised in a hunting family but never hunting as a child, Linda always yearned for both the outdoors and for the hunt. She did not hunt as a young adult either, but later when her young son showed a keen interest in guns and hunting, she ran with their shared interest. She quickly became proficient with handguns and long guns, going on to get certified by NRA as an Instructor. She is also certified as a Firearm Safety Instructor and Bowhunter Education Instructor in Minnesota. Firearms hunting came first, then archery. A longtime writer, Linda soon was writing outdoor articles for magazines, newspapers and websites about her hunting adventures. She invented a line of trail markers called FireTacks, bringing them to market in 2001. 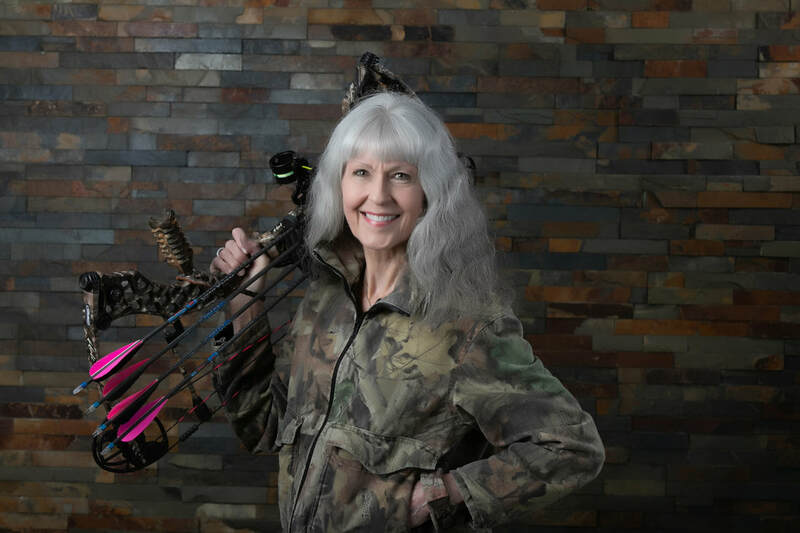 She later got involved with Christian Bowhunters of America as a member in 2003 after discovering CBA at an Archery Trade Association trade show. Linda was raised Catholic and cherishes her spiritual roots in the Catholic Church. In her late 20’s she accepted Christ which completely changed her life and while she attends Protestant (Evangelical) church now, she knows that being a Believer in Jesus Christ is not about denominational labels. Today, her main hunting partners are her husband, her son and his wife, and a number of other likeminded hunting enthusiasts in Minnesota and around the country. Linda has harvested 4 bear, over 70 whitetails, wild pigs and countless varmints with her bow as well as many turkeys with shotgun and deer with rifle. Linda serves as a worship song leader at her church doing contemporary Christian music, as well as overseeing some hospitality functions. She and her husband Don hunt at both their home in Isle, MN and also at her private land in the area. The best part of the hunting experience for Linda, is the time alone with her Savior to ‘Be still and know that I am God’. “The miracles in nature cry out the majesty and glory of God in a way you cannot experience anywhere else”, she says. Linda was elected as the first female Board member of CBA, and began serving as Treasurer of the organization shortly thereafter. Joy and her husband Lee live in Tipp City, Ohio. They have been married 41 years and have 3 grown children and 8 grandchildren. As a preacher's daughter, Joy was taught early the importance of ministry involvement. When Lee first joined CBA, Joy was relieved that he now had his own ministry and hoped that he would quit complaining about her "over-involvement" in her various ministries. It was not long until Lee's CBA Chapter, Lord of the Harvest Archery Club, planned to host a hunt at Tar Hollow State Park in southern Ohio and they needed a cook. One of Joy's passions was to cook for large groups so it was a perfect fit. After a couple years of prodding from all the guys, Joy picked up a recurve bow and started shooting. After a few times of sitting in a blind, while Lee hunted, she figured she might as well take her bow with her, and the rest is history. The other ministries faded as they focused more and more on CBA. 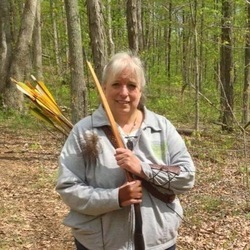 Joy served as secretary for the Ohio Society of Traditional Archers for six years and was given the honor of Life Membership in 2014. Joy is employed full-time as an office administrator in a construction company. Joy has taught countless children how to shoot and especially loves teaching pre-schoolers. 6 of their grandchildren have their own bows (the youngest 2 are just babies) and love coming to Grammy & Grampy's to shoot. The oldest two have recently gone hunting with them. Using the bow and arrow as a way to share the love of Christ soon became a passion that Lee & Joy shared together and they will tell you that there just isn't anything greater than being involved together in ministry. Not only hunting with a bow, but it was a way of life to interact in church, school, and business to tell of your latest archery adventure. I began shooting archery competitions when I was in elementary school, then went on to shoot on the Cabela’s Junior Tour in High school. Going to events with my Dad, such as Bass Pro Fall Classics, and even helping work trade shows and shoots at tournaments in Pennsylvania. This laid the foundation for a solid archery background. But, I also had with me each time the power of prayer and my Christianity to fall back on in those times when the deer weren’t moving. I can actually remember being so deep in prayer that I forgot I was hunting - and then much to my surprise seeing deer under my stand! Then the rush of the closeness that only Archery hunts bring. But enough about that. I am now the Vice President / National Sales Manager for Great Day Inc. I have served on the board of directors with CBA since 2011 and became a lifetime member in 2013. It is my goal to promote, to witness, and to spread the cause of Christ to every person I can. I consider it an honor to serve with CBA with such good people. I am married and have a 2 year old son now. I plan to raise him in the admonition of the Lord Jesus Christ as well. My wife and I pray every night and both have strong roots in the Christian faith.